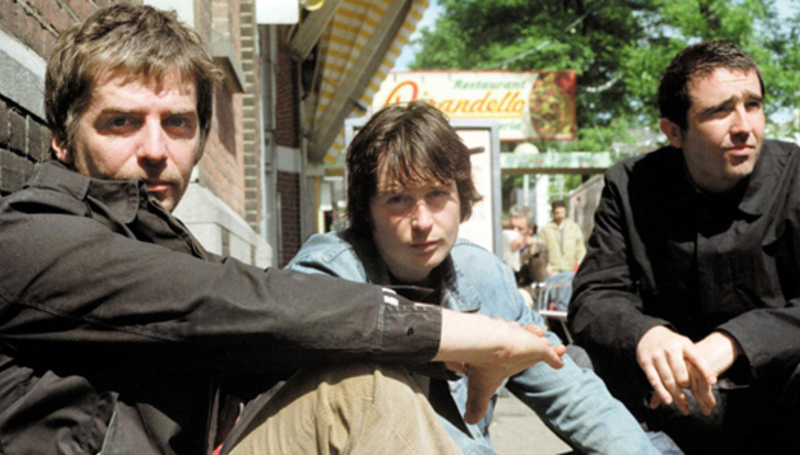 Over ten years and four albums, I Am Kloot have ploughed a distinct furrow that’s seen them define the idea of the cult band – massive in their native Manchester, Belgium and other unusual cultural outposts, critically acclaimed but unknown to a larger audience. DiS: Would you agree that this album has marked a difference in people’s reactions to the band? JB: Certainly here in England there’s been a difference, in a mainstream kind of way. Over the whole ten years of the band we’ve not had anything like this. We played the songs to audiences who hadn’t heard any of it yet, and that went down really well, so that was really reassuring. That’s the worrying thing - you get people saying that they like it, but until you actually go out there and play the songs to people, you don’t know for sure. It’s natural to be anxious about these things though. DiS: The album took quite a long time to put together – was this a deliberate tactic? JB: The main thing was, it was trying to find time when Elbow were free and we were free, and obviously they’ve been very busy. It’d be the case of finding the time, doing four or five days, and then nothing for five weeks. In total, it took about 60 days in the studio, but with these gaps in between. What I liked about that was having the gaps, so we could come back after a few weeks and listen back to stuff, that was really refreshing. We were coming back to a song able to take a fresh look at it. At first I was a bit anxious about this, I thought we might lose our rhythm or something like that, but it was actually the reverse. You don’t get used to it, so it keeps you excited. The gaps in between were very useful, because I came up with a lot of extra melodies in these periods, so this is where the extra instrumentation came in – it was a case of what to do with them! I really enjoyed making this one, and I really enjoyed making our first one. The other two, I enjoyed the recording, but I felt the clock ticking. Every day was another load of money, and I didn’t even want to be in that position, but that’s how it was, so it’s been a few years since I’ve had such an enjoyable recording experience. DiS: Do you get annoyed when people mention the connections with Elbow? JB: The main thing for me is that people hear my stuff, how I’ve done that in the past is through gigging and stuff like that. The Elbow connection might be a factor in this record, but I also think that I’d written the right songs at the right time for us. There was a slight sea change in my writing, I think I’d ploughed some furrows pretty thoroughly, and I didn’t want to touch them for a while – ways of writing, subject matter, language, that kind of thing. I wanted to move to the side of some of that. To be honest, we’ve wanted to work with Guy (Garvey) on every album. We worked on the first one together, and we’ve been friends for a long time. I find it easy to communicate my ideas to Guy, because I know him so well, and Craig (Potter)’s level of concentrate on the details of recording is just incredible. Obviously it’s bound to nark me a bit, because everyone’s mentioned it, but in general I don’t lose sleep over that. If I felt that it sounded like Elbow, and we didn’t have anything to offer on the record, then I’d probably feel like a bit of a schmuck right now, but I think there’s a lot on there that’s obviously us. DiS: Lyrically, would you agree that this is quite a reflective album? JB: The symbolism and the metaphors that I use, there’s a lot about the night on this record. It’s kind of a standing still record – I felt like we’d been running all this time, always gigging, always trying to catch up, and I think last year was the first time we’ve really stood still. When it came to finishing the lyrics, there was a feeling of someone stopping and looking around, rather than having so much to do and get off your chest. This is a lot more reflective, and that goes together well with the night time. DiS: One of the songs on the record, ‘Proof’, previously appeared on another I Am Kloot record. What was the thinking behind re-recording it? DiS: Why do you think this record has caught the attention more than any other? JB: Perhaps this is more cohesive as a record, rather than going off in different directions. And I think the insomnia has helped, working with Guy and Craig has helped, and us playing together for ten years has helped, and us thinking about it in a different way has helped – we’re not worried about how we’re going to do it live or anything like that. We’ve just done what was right for each song – I think it’s the first record we’ve made like that, as an album as opposed to a recording of I Am Kloot. We just thought of what we needed to make things work, and if we needed 50,000 scuba divers, then that’s what we’d go out and get. DiS: How do you feel about being nominated for the Mercury Prize? JB: It’s a strange thing, we did hear a while back that there was a chance we might be nominated for this, and I’m delighted that we are. It would be amazing, not just for us, but for everyone else involved in the record if we were to win. I think there’s some things worth winning, and some things that aren’t, and this is one of the things that is worth it. DiS: And what will you spend the money on if you do win? JB: I hadn’t thought about the money in all honesty! I’ve not had a holiday in about 7 years, so that’d be nice! The main thing we’ve been concentrating on is getting the album released, but obviously getting nominated has drawn a lot of attention onto us. We’ve also started recording demos for the next record, so it’s strange to be thinking about both at the same time.